Correct response: What is Berlin? Removing 2 letters (the L and the I) from Berlin (the capital of Germany) gives you Bern, the capital of neighboring Switzerland. An average of 3.3174 5+-time champions (standard deviation 1.389). An average of 5.4086 4+-time champions (standard deviation 1.7657). An early cutoff took place 6.195% of the time (or a 5-game winner will be left out). 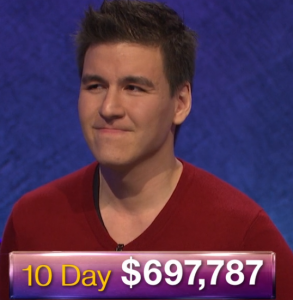 James Holzhauer qualified 80.408% of the time. Eric R. Backes qualified 77.080% of the time. Anneke Garcia qualified 51.430% of the time. Lindsey Shultz qualified 23.059% of the time. Dave Leffler qualified 6.301% of the time. Jonathan Dinerstein qualified 0.408% of the time. If I was reading the Internet correctly last night, James’ wedding date was September 8, 2012; thus, 9/8/12 has special significance to him. 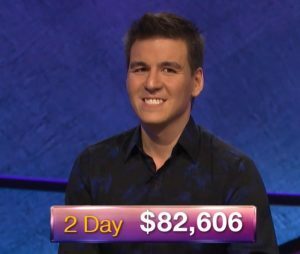 James has the 4th-highest total winnings ever through two games (not adjusting pre-2001 scores for doubled dollar values). #1 through #3: Roger Craig ($114,000), Mark Runsvold ($103,000), Chris Fleitas ($82,901). If James bet the maximum he could without materially affecting his win chances, his 2-day total would be $84,250. Effective in first on buzzer stats: James 38.18% (21/55), Satish 26.32% (15/57), Marshall 33.33% (19/57). Last night, Robert K S of J! 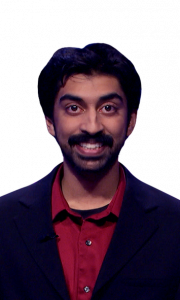 Archive stumbled upon an empty subreddit, similarly named to a fan site for James, that has put many former contestants and top quizzers up in arms. That subreddit was created a month ago by a user who does not appear to have any connection whatsoever to James (at least judging by the posting history). It is my belief that the subreddit and the website were created by an audience member who witnessed what he saw at a taping and wanted to get ahead of a wave of publicity that he thought might be coming for James’ run, but didn’t really know what he was doing, and didn’t think that the site would be discovered in advance (which ended up happening when local affiliate started airing hype promos). 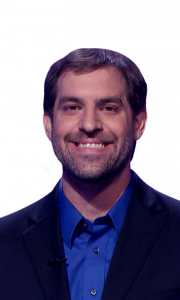 It also appears that a number of former contestants and top quizzers were accidentally, yet successfully, taken for by these happenstances, as there are a few people in the quizzing and game show communities who have justifably felt that James has disrespected them in the past (and have thus felt that James would be capable of this sort of behavior). That being said, James appears to be aware of the existence of this site (which has come under fire for being both disrespectful to James’ opposition as well as spoiling upcoming episodes), and he really should be doing more to defend his fellow contestants, as well as the integrity of the show, in my opinion. 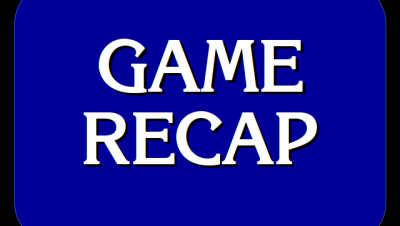 11 Comments on "Today’s Final Jeopardy – April 5, 2019"
Well I must be old as after reading Andy’s thoughts, I don’t even know what subreddit or any of it means…but hope things turn out as they needed. I saw a different subreddit that I guessed might have been started by you, Andy. It was warning about the NDA signed by contestants. Lots of drama. I have to wonder, if he is doing this, what possible motivation he may have. Regarding today’s FJ, I dislike questions like this, as it’s not really a question of knowledge, as virtually everyone would get the answer given enough time. But maybe I’m just bitter because I didn’t get it. Thank you…I too really dislike this kind of question to determine a winner, and have said so many times before. The worst is whenever STATE CAPITALS is the category. Everyone knows all the state capitals, so they always turn it into a thirty second race, the winner usually determined by who was lucky enough to start in the right part of the country (today, the right part of Europe…everyone knows all those capitals too). I know, I know, it’s the same for all three contestants, but it’s still a very unsatisfying way to wrap it up in my opinion. Yes, I was jumping around Eastern Europe first, so didn’t get it. Glad to hear someone agrees. You wrote: …there are a few people in the quizzing and game show communities who have justifiably felt that James has disrespected them in the past…” This is very murky. Please clarify. James is also a beast slayer. The fact that no records actually fell on the first day, contrary to the early version of the site, gives credence to the idea that a casual fan made it rather than James himself or a historically informed game-lover. 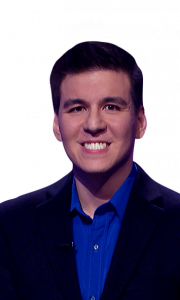 Were the names of any contestants that James would go on to beat on subsequent games posted on the site on that first day? They weren’t posted until yesterday evening. Satish has to be one of the unluckiest contestants in recent memory. He easily could have been a multi-day winner.